As Australians in The Netherlands will be aware, not being a native Dutch speaker can affect your job search and career and the purpose of this Fair is to assist Internationals connect with employers. When I first came here in 2002, I fully expected to be able to continue building my career, which I began in the travel industry in Australia and then had worked for a few months in the UK. However without a degree or a command of the Dutch language, I was competing against thousands of highly-educated candidates who were often fluent not only English but several other languages! Further to this, to comply with my initial visa requirements then (when I entered on an Australian passport) I was expected to attend full time Dutch language courses for the first year, making employment rather difficult! The majority of these recruitment agencies specialising in employing “Internationals” (i.e. 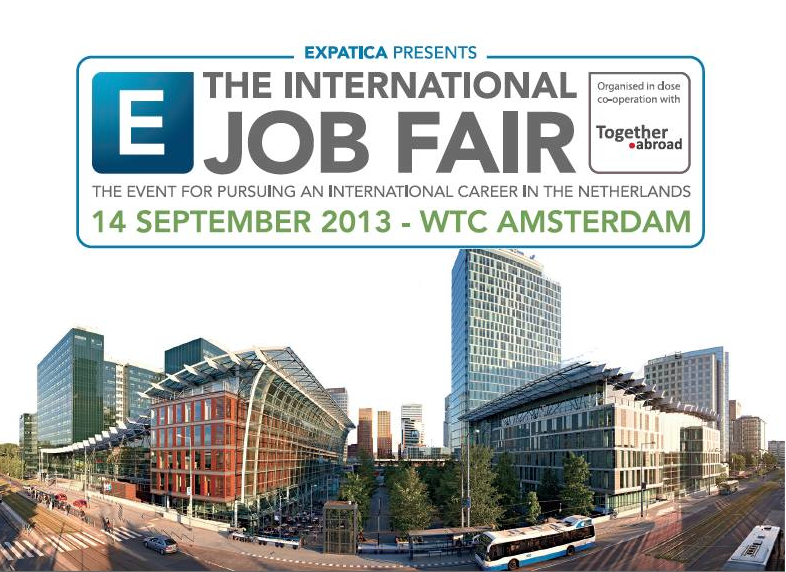 usually native english speakers) will be at the Expatica International Job Fair this weekend. You can visit the list of Exhibitors and Sponsors for an overview. Take a look at the Programme as well – I’m presenting on Using Social Media to Further Your Career at 2.30pm along with a talented friend, Colleen Reichrath-Smith, career consultant and co-author of Career in Your Suitcase 4th edition. Another good friend, Emmy McCarthy of Amsterdam MaMas is also speaking on Mothers Returning to Work – a topic close to me, particularly though my work with Professional Parents, so I’ll be attending that for sure! Lots of other interesting presentations and stand-holders, hope to see you there!